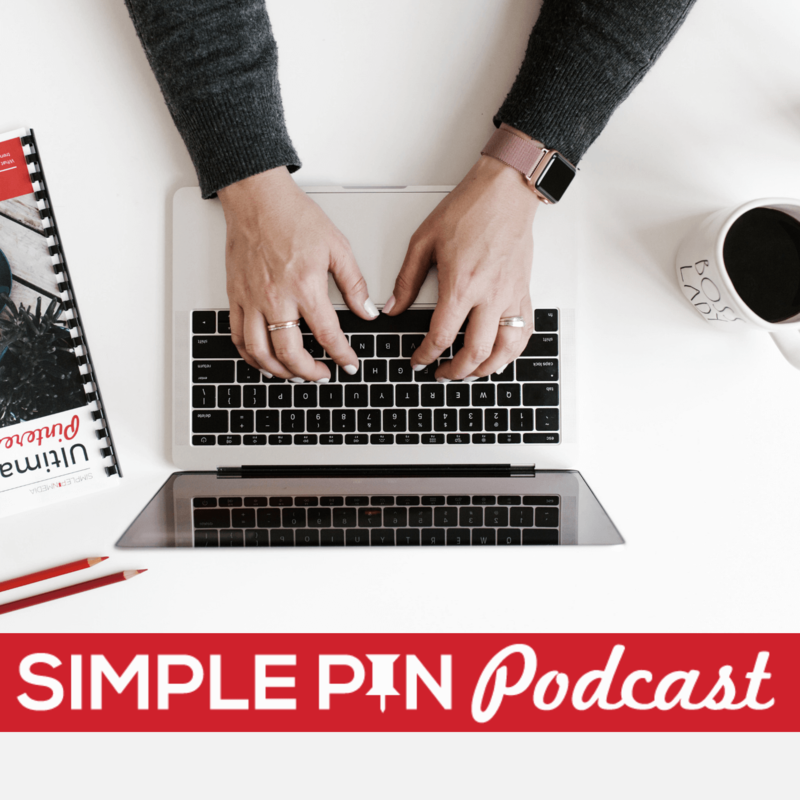 If you’ve listened to this podcast for any length of time, you know that we talk about ways that you can manage your Pinterest account without falling prey to all of the myths and crazy talk out there surrounding Pinterest. But today we are shifting a little bit to talk about ethics and online business with Stephanie O’dea of A Year of Slow Cooking. Have you ever found yourself reading an article with a title something like, “10 Steps to Grow Your Account 10x in a Week”, or “How to Make $10,000 in Your First Week of Blogging”? There is no shortage of those types of articles floating around the internet, but do they work? Or do you just find yourself burned out, exhausted, and right where you started after you implement their “steps to success”? Stephanie has been told more than once that her story of starting her blog “isn’t a good one”. Why? Because she didn’t start her blog as a passion project or as a way to keep up with the grandparents. In 2008, Stephanie needed a legitimate work from home job, and after investigating one too many scams, she decided to start her own website. Her research on websites led her to begin a recipe site. Even though she couldn’t cook, she could use a slow cooker. And that’s how she began. For those who also began blogging way back in the early days,– who have a large body of content and a blog full of links all over the internet– you are ahead of the game. But you do need to realize that blogging income is not the same as it was back then. Jazz up your content. Make all images Pinterest friendly and easily searchable on Google. Link up your content. if you have 10 different posts on the same topic, begin to interlink them. Work it, honey. Link to other sites, Guest post on other blogs. Build your email list. Teach them. Recommend products. Create your own products to sell. If you recently started blogging, then you also need to know that things have changed in the blogging world. Whereas bloggers used to have to travel several times a year to network with others, now the networking happens online as well. Join Facebook groups, find your people, look for people you can trust. It’s easier than ever to find a tribe to get connected to. But what if you’ve been blogging for a few months, and you’re not seeing that growth that you expected or were told to expect? What if you’re starting to get tired, and you don’t see the results you think you should be seeing? Are you feeling burned out? Stephanie says you need to go into this with a game plan. Before you go any further, stop and ask yourself some questions. What do you want to see in 1 year? 3 years? 5 years? For example, if you want to have an annual income in 5 years of $100,000, figure out how you are going to get there. You know you need a mix of digital products, affiliate sales, ad networks, etc. You need social media platforms as well. But all of these things will not bring in that $100,000 income if you aren’t actively working on them. You need to put yourself out there from the beginning. Be active on social media. Find others that can help you and work with them to implement your specific strategy. How do you know if you’re seeing success as you go along? And what about that $100,00 goal? As Stephanie works with new bloggers, $100,000 seems to be the universal benchmark for desired income. And yet as she digs in deep, she finds that people really just want to be able to be at home, taking care of their children or their families. And most people need around $3-4,000 a month to do that comfortably. The fact is, you can reach that $100,000 mark, but it is going to require a level of work and travel that will kill your dreams of being at home with your family. So decide what is realistic for you and how much time you have. Otherwise, you will fall victim to the “Make Money Fast Online!” promises. If we are trying to avoid scams, how do we find products that aren’t scams? How do we know who is reputable and trustworthy? Stephanie begins where all good searches begin…with Google. She Googles the name of the person selling the product she’s considering, to make sure that their claims are backed up by facts. Don’t pay for something from a person if, when you Google their name, the only result you get is their own sales page. You want evidence to back up what they say they’ve done. If you think you need a coach or a course, decide up front whether you have more time or more money. If you have more time, then you can learn everything you need to know for free with some searching and reading. But if money is what you have and not as much time, hiring a coach or purchasing a course is another way to get to the next level with specific actionable steps from an expert. So you’ve been at this blogging thing for a year now, and you don’t seem to be getting anywhere. It’s just not working for you. Should you quit? Maybe you just aren’t cut out for this blogging thing, right? Stephanie recommends a couple of things if you find yourself in this spot. First, don’t crash and burn. You probably need a course correction, but you shouldn’t just give up. Second, what you may see as unsuccessful is likely still a step ahead of someone else. If you have any loyal readers each day, then you do have a measure of success. Reach out to those people, whether it be 200 or 20. Find out what they need from you and give it to them. *Listen in on the podcast episode where I break down the myth that more pageviews always equals more income. Here’s another important reason not to quit. If you have even 10 faithful readers, then those people want to hear what you have to say. It is pretty rude to say to them that they don’t matter as readers. And that’s exactly what you’re doing when you quit because you “only” have a few readers. Each of those readers is a real person who cares about what you have to say. Once you begin to see larger numbers and you are working your social media and creating products like you need to, there will come a time when you can’t do it all anymore. You are going to need to outsource or hire someone to help you. So where do you start? Stephanie feels very strongly about not outsourcing certain parts of her business, beginning with email. Her email is her personal brand coming through; she can’t hire a person to do that for her. In her emails, she is relating to her readers on a very personal level, sharing with them things that she doesn’t write about on the blog, and building real relationships with them as they respond to her emails with stories of their own. It is important to set your parameters at the very beginning as to what you will or won’t outsource. For Stephanie, childcare is one thing she doesn’t outsource. Because she created her business in order to be at home with her children, she keeps that as her first priority when deciding what to outsource. Others may hire out some childcare, and that is perfectly fine of that’s where you decide to gain some work hours. Just know what you are comfortable with and stick to it. Don’t fall for get rich quick schemes. Don’t use affiliates that you don’t believe in. Don’t try to make a quick buck. Don’t promise your audience results that aren’t actually achievable. Provide legitimate help to your audience. If you are at the point of needing to outsource some of your tasks, please contact us here at Simple Pin. 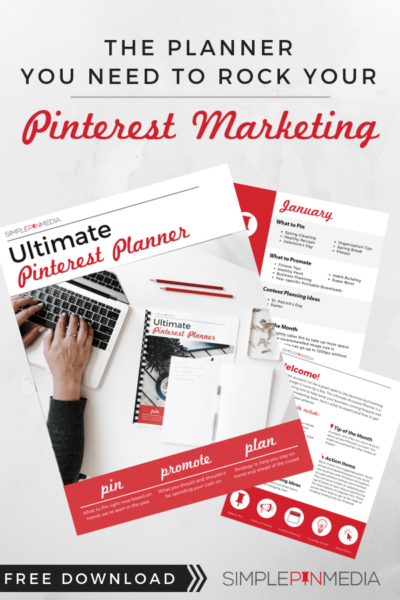 We maintain a singular focus on Pinterest and can help you take your Pinterest account to the next level. 27:20 Should I Just Quit? 32:35 Outsourcing: When and What? and some modern tools which can make us established as a blogger in just a few steps away. Apart from these we all need to work upon our main focus, what we want to go for, what kind of people are we looking out and what we gonna offer so that we can make a decent money at the end. I really enjoyed this! A refreshing perspective by an independent thinker. It validated how I feel 🙂 about those silly offers to grow your e-mail by 10K etc. I also had wondered about outsourcing as well. Hey Sarah! You’re welcome. I’m so glad you enjoyed it.